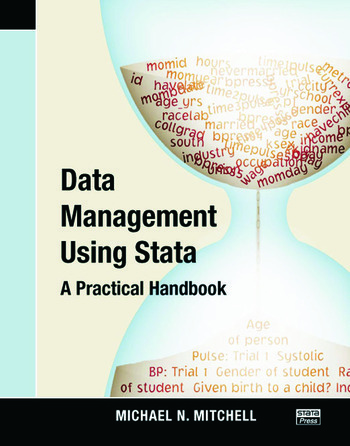 Using simple language and illustrative examples, this book comprehensively covers data management tasks that bridge the gap between raw data and statistical analysis. Rather than focus on clusters of commands, the author takes a modular approach that enables readers to quickly identify and implement the necessary task without having to access background information first. Each section in the chapters presents a self-contained lesson that illustrates a particular data management task via examples, such as creating data variables and automating error checking. The text also discusses common pitfalls and how to avoid them and provides strategic data management advice. 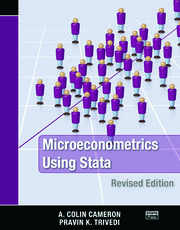 Ideal for both beginning statisticians and experienced users, this handy book helps readers solve problems and learn comprehensive data management skills. Michael N. Mitchell is a senior statistician in health services research. For 12 years, he worked in the Statistical Consulting Group of the UCLA Academic Technology Services.